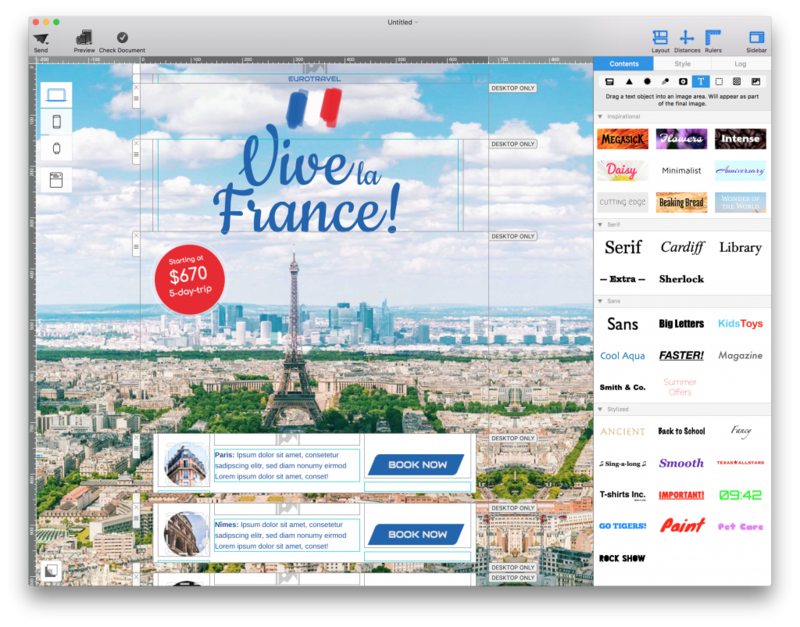 In an image area, Mail Designer 365 offers more flexibility and you can get really creative with your text. Let’s try out some creative ideas! Like every tab in the Contents section, the Text Objects are also divided into multiple subsections. This allows you to easily find the font and style you want. We have also created a few other text styles using different fonts and colors. Drag any of these text objects into an image area and double-click it to edit the text.